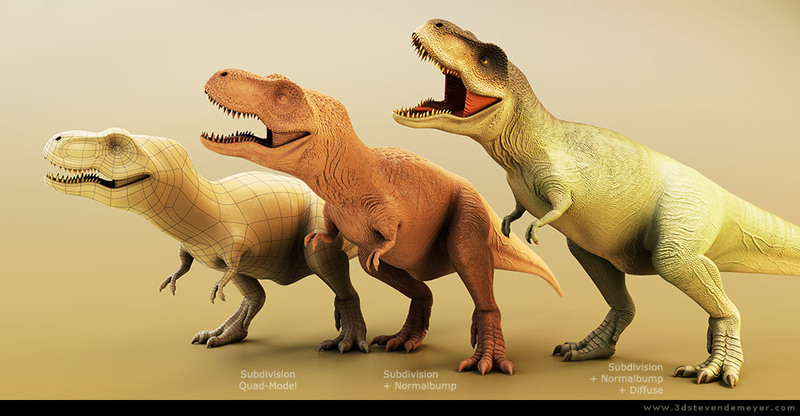 All quad-subdivision model, modelled in 3dsmax. Software used 3Dsmax (mr), Roadkill, Photoshop, Zbrush (skin detail). Wireframe - Subdivision model with normalmap baked in 3dsmax, sculpdetail in Zbrush - Model with diffuse- & normalmap. 2048² textures : UV-layout, diffuse- and normalmap (baked in 3dsmax).